An all-day dining that whips up potent drinks and gorgeous food, all in front of your eyes is what Loco Loca is all about. We give you all the deets. Lokhandwala has a new kid on the block, a Spanish-Indian love affair with a Mumbai twist, that’s lovingly been named Loco Loca. A part of the Empresa Hotel, the man behind this haunt is none other than Ajay Chopra, the Celebrity MasterChef who, honestly, needs no introduction. Relaxed vibes and warm ambience is what defines this place. The best of Spanish and Indian cuisine meets at this spot coloured with a Mumbai-twist. Award winning mixologist Shatbi Basu is the person behind their eclectic drinks menu. 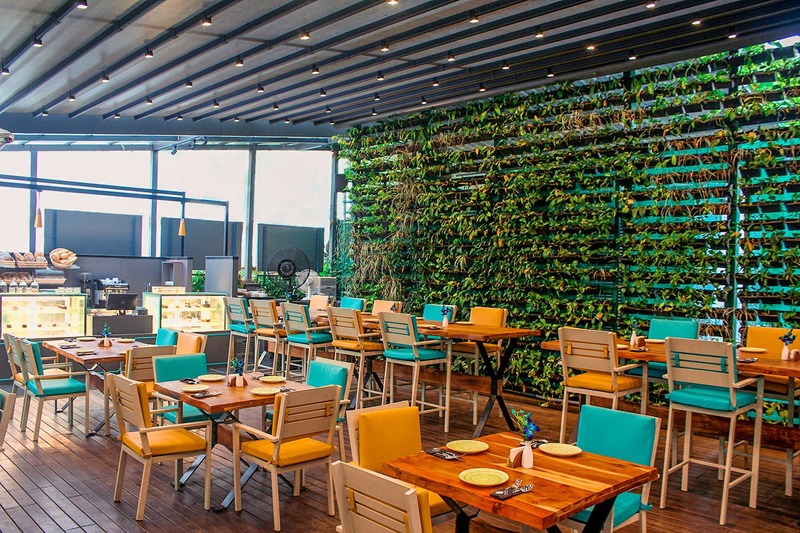 In the food section, they do a range of Indian inspired salads, Spanish small plates, wood fired oven pizzas cooked to perfection, gourmet burgers that will leave your soul craving for more, delicious plates and bowls, and charcoal grills. But we still haven’t mentioned the best part – all of this is whipped up in Loco Loca’s cooking theatre which means it all happens right in front of your eyes. Isn’t that fabulous?! To make sure you don’t end your meal half-heartedly over a savoury bite, they also have a patisserie that makes all-day desserts, artisan breads, cakes and cookies. To make sure no one goes without a sweet bite, they also have a line of gluten-free and eggless preparations. Excited much? We suggest you head here as soon as you get some time to chill with your gang over a relaxed evening. We suggest you head here with an appetite because the food here promises to excite your taste buds more than usual.